An estimated 1400 signatures against digital billboard were submitted to the Tacoma City Council which can be read here. 1) Email your city council members here. 2) Testify before the city council tonight at 5:00 p.m during public comment: Tacoma City hall 747 Market Street. Campbell: 193 non-conforming boards removed within 6 months via Boe/Campbell amendment. by KevinFreitas on 7/26/2011 @ 7:25am Here's an email letter I just sent to the mayor and city council. Please feel free to copy/edit/send as you wish. I regret that I can't join in on tonight's city council meeting but would like to express my ongoing support for banning digital billboards in Tacoma and seeing that non-conforming "static" billboards are removed as a matter of public record. I urge you to support ordinance #28009 and hope any amendments offered up only strengthen the protections that fall in line with the overwhelming sentiment against digital and static billboards in our community. As many have already said Tacoma opts out from the blight Clear Channel already has around our town (for the public record: www.feedtacoma.com/search/?t=clear+chann... parts 1 through 11) and wants to place there in the form of new digital billboards. Though some spoke in favor of the "benefit" Clear Channel provides in public service messaging the overwhelming sentiment among those who've testified on this issue to date is that we don't want to receive even public service messages via this medium. There are numerous other, more effective methods (e.g. social media, local ads on sites like FeedTacoma) to get their word out instead of polluting our area's beauty with digital billboards. There's no legitimate business need for digital billboards or non-conforming static billboards in our neighborhoods considering the myriad of alternate means of advertising in a more direct, quality, and "go local" way (e.g. search engine, transit, local website, ads, etc). Despite some opinions that "digital" is here to stay, being a fan of technology of all kinds myself, we don't need them. Period. One keen commenter last week even pointed out that we can certainly take up the digital billboard issue again in the future but for now an outright ban is appropriate especially considering studies still outstanding about safety related to flashing messages over our heads/in our faces as we drive on a rainy night. Keep in mind how hard it is to get Clear Channel to take down a non-conforming static billboard -- 2 removed at 9th and Pacific in 14 years. Now imagine if we allow digital ones and how impossible it will be to get them to remove them if, in the future, we change our minds. Please listen to your constituents on this issue and validate their overwhelming voice on this issue. Civic involvement is a precious commodity. When an issue like this arises with so much unanimity our leaders should validate that as an example that will encourage future involvement. Tacoma has said no (to you and the entire country) to digital billboards and non-conforming billboards. Now Madame Mayor and City Council, it's time for you to stand up, be strong, and do the same. by NineInchNachos on 7/26/2011 @ 8:00am Moment of truth. Will we need to recall Marty Campbell ? The heat is on! by fredo on 7/26/2011 @ 8:01am Kevin, your comment shows up properly confined to the text area but the original posting by Erik spills way over into the column labeled "about" and "recent posts". All that wording on the right side is superimposed. Is there a problem with my computer? I've seen this many times. I think its always on one of your templates with the glass building reflections or the dark blurred out street lights that eric has chosen. by NineInchNachos on 7/26/2011 @ 8:53am POLL: should Mayor Strickland recuse herself from tonight's vote given her direct connection to the billboard advertising industry ( Jay Ray etc) ? She may or may not be aware of any ethics violations. by fredo on 7/26/2011 @ 9:00am she should recuse herself. furthermore, she should retract any previous comments on the issue. I vote yes. You don't have to be just OK with digital billboards, you have to freakin' LOVE them. Because any kind of vote that can be construed as allowing them into our city will effectively throw your local political career under the bus. So ask yourself, do you really want them so badly that it will be worth the voter backlash? by Nick on 7/26/2011 @ 9:18am .... also, what? They voted on a 6 moth moratorium only to have a pivotal vote 1 week later? I'm a little confused and very concerned about how this came about. Anyone in the know? by fredo on 7/26/2011 @ 9:22am Politics Nick, they knew most of the protesters from last week would be unable to make it two weeks in a row. by ixia on 7/26/2011 @ 9:28am I am just as confused as you, Nick. I thought the reason for the moratorium was to think about all for 6 month. Who is planning city council meetings, gee? I asked the council before regarding any financial benefits from billboards to the city. There appears to be none since I have not gotten a response. Creating an ordinance that taxes CC for every board that benefits from abusing our eyeballs would be sweet. by NineInchNachos on 7/26/2011 @ 9:45am THEN POST FINDINGS HERE! !!! by cisserosmiley on 7/26/2011 @ 9:47am come on city council...just give in and vote for billboards the very second the cameras are gone...but remember, this is NOT mayberry and i am NOT aunt bea...i have until this point been extremely cordial when dealing with you folks. Please understand the extreme nature of entering into a career long relationship of contention with tacomanians. please vote no on billboards. by fredo on 7/26/2011 @ 9:59am Notice that the billboard item on the agenda is like the last thing. First the council is going to put everyone to sleep with tributes to the Camp Fire Girls and lengthy discussions of the city sewers. Oh and don't forget the important agenda items which will provide an extra $90,000 to finish up the Sauros/DaVita parking lot and a few hundred thou so some architects can review something. This is off the subject but how can the city be pleading that it has no money to fix the streets yet come up with thousands even millions of dollars for pet projects? by ixia on 7/26/2011 @ 10:01am Apparently the moratorium and the passing of a new billboard ordinance (amended or not, depending on the study session today) are NOT related. The council can vote in favor of a new city ordinance allowing digital billboards anytime after the second reading of the ordinance. And then they potentially can vote to remove the moratorium and have the billboards go up right after that. The vote numbers don�t look good at this point. We might get digital billboards in time for Christmas. So frankly, the moratorium was just a bunch of administrative BS. Meaningless. Meanwhile the City Attorneys are working on a settlement with the Devil...This is where we will get f'd. The fear and reality is that Digitals could be introduced during the same amendment process...Those amendments will be contingent on the new and improved settlement agreement. I will not be surprised if they don't go with street furniture...LOTS of street furniture and lots of relocated static billboards (most of which will be banked). I still hold out hope for no Giant digital billboards and an improvement on where we were a year ago. I do think it's better than where we were. Not a big Win, or anything, but better. As for Mr. Campbell...(just my take)... Marty considers himself a chess player, and I hope he is going to use his best strategies...It's time for Marty to prove his worth. c'mon Marty, prove your critics wrong! Everybody underestimates him, so maybe he'll do better than we think? I know he WANTS to win one for Tacoma, but...at the same time do we want such a big issue in the hands of one guy? No. We should find the money to lawyer up, but we won't...Clock is ticking! by ixia on 7/26/2011 @ 10:28am Voting on the moratorium without stating that they mean to immediately go ahead with a new ordinance is extremely deceitful. A shameful waste of not only council time, but all or our time as well. No wonder people tune out if politicians willfully send us on a merry-go-round. by CaptainBritton on 7/26/2011 @ 10:30am Ah...but they F'd up! We are tuning in!!! They are negotiating a settlement in private, with a private company!!! The public isn't invited in the discussion at all! It's like Lonergan said (or roughly anyway)..."We negotiate in private! That's what a private negotiation is!" by NineInchNachos on 7/26/2011 @ 10:37am who can volunteer to live tweet the noon audio study session ? by ixia on 7/26/2011 @ 10:42am What are measurable financal benefits from the billboards aka CC (digital or not) to the city? The council has not answered my question. by NineInchNachos on 7/26/2011 @ 11:09am have you seen the state of Clear Channel Billboards? They have no money! They're bluffing! by cisserosmiley on 7/26/2011 @ 1:18pm maybe i'm missing something...it sounded to me as if cc was given more static boards than already (a loss) and those boards, at a later date, are the things "traded" for more digi permits...then didn't cc just load more ammo into the billboard trading gun? and aren't several council folks putting off till later a decision? maybe till post election time (Boe, Mello, and Walker)??? That's it re: billboards! Pt. Ruston up now (if you're sticking around)! Mellow: re: cost -- previous 10 year amortization sufficient? Attorney: new amortization language in ordinance. Campbell: Mistake made in 1997: public comment missed on substitute ordinance. Fey: Supports strengthened ordinance via Boe/Campbell amendment but wants more summary description of changes offered up. Shultz(? ): 2nd reading of ordinance set to later date for more review time by public, city council. Fey: Suggests more testimony in case Boe/Campbell substitute amendment added. Strickland: How do property rights apply? Removal of property may require compensation. Boe: Digital signage in general should be addressed by planning commish, city council. Boe: 72 sq ft and up constitutes billboard according to code. Smaller than that (digital or otherwise) a "sign". Strickland: 254 billboards in #Tacoma for a long time. "Opportunity to reduce blight." Campbell: 1997 sign code not legally as strong as it could be. Boe/Campbell amendment more solid. Boe: More details re: billboard lighting, maintenance, code enforcement for billboards in dis-repair. Boe: Draft "hot off the press" amendment provided by Campbell, Boe to add more design guidelines to planning commish recommendations. Strickland: Wants to determine fact vs. fiction re: billboard and how #Tacoma got here. Request from Mellow: Wants workshop with @CityofTacoma legal re: sign code, billboards and what #Tacoma can/can't legally do. Shirley Shultz w/review of pub comment. 34 people testified last week, 50 comments email re: billboards. Looks like we're getting started now, straight into billboards. Tonight is the first reading of the proposed ordinance and any amendments. by cisserosmiley on 7/26/2011 @ 1:46pm how does it compare to 1997? by Rick Jones on 7/26/2011 @ 1:47pm I just returned from the Study Session. There will not be much happening tonight but that doesn't mean we shouldn't attend. Boe and Campbell have taken the Planning Commission's recommendation and created a 'substitute amendment.' Like the PC's recommendation they favor no digitals at all. They prupose of the amendment was to deal with some loose ends they found in the PC Report. Some of this has to do with digitals with private rather than CC ownership. Also dealing with non-conformers. Because it was presented at the study session it appears it will add another delay to the process. It will be presented at Council tonight and public comment will be allowed. But because it still needs "tweaks," according to Boe, and because of the short time between its introduction and appearance on the Council agenda, it will be taken up in another two weeks at Council. It may seem like they're kicking the can down the road again, but I think they want to get it right. I was unable to get a copy of the amendment because they adjourned the public portion and went into executive session. If Peter Callahan has a blog I would check with him as he was also there. by NineInchNachos on 7/26/2011 @ 1:53pm thanks comrades! by Rick Jones on 7/26/2011 @ 1:55pm Also, regarding Pt Ruston: It's my understanding the original agreement called for an easement to the City for a 'Water Walk' that Cohen (MC Const) was supposed to complete. This is more of a loan than a purchase, since an easement would have given the city the same rights. I'm all in favor of helping Pt Ruston complete its courageous vision, but if it's a loan, let's just call it that. by Erik on 7/26/2011 @ 2:16pm Good news. Still need to absolutely push to the end. Issues like this can be lost in the end with so much money to be made by blighting Tacoma's skyline. Here is my letter to the editor published yesterday on the matter. Tacoma residents, civic groups and leaders as well as city�s newspapers have overwhelmingly opposed digital billboards from being forced into Tacoma as they are blightful and distracting to drivers and wisely banned in many cities such as Bellingham and Seattle. Tacoma residents are continuously urged by the City of Tacoma to reduce energy use by replacing their lights with fluorescent bulbs, using less hot water, funding multimillion-dollar platinum-rated �green� buildings and to even having their garbage collected half as often. However, a different standard altogether appears to apply to billboard companies. According to the U.S. Green Buildings Council, each digital billboard consumes as much energy as 13 average houses. Thus, the proposed array of 38 digital billboards erected around the city would consume as much as 494 houses and release 4,104 unnecessary tons of carbon dioxide each year, negating any meaningful effort to make Tacoma a �green� city. by NineInchNachos on 7/26/2011 @ 2:40pm hearing rumors from inside sources that Olivia Lippens herself is at City Hall right now trying to get in to the executive council session. Bet she misses the Eric Anderson days. by L.S.Erhardt on 7/26/2011 @ 2:46pm I'm weary of this. by Jesse on 7/26/2011 @ 2:48pm Permits will still be good for twelve months? Ready for relocation of 193 billboards? Won't they take down the agreed upon number and use permits to put new ones up elsewhere? by Erik on 7/26/2011 @ 2:57pm "Bet she misses the Eric Anderson days. " Ha. She probably said "Where's Eric Anderson?" upon arriving. by Rick Jones on 7/26/2011 @ 3:40pm I think I sat next to her at the session. She left soon as the bill board talk was finished. by CaptainBritton on 7/26/2011 @ 4:28pm 180 degrees from where we were in March...Nice job everyone! Does anyone else feel like that scene in LotR when Th�oden wakes out of his funk to kick Wormtongue down the stairs? I'm not saying that Eric Anderson was Saruman, or anything, but...well....It feels like there has been a serious, positive change at City Hall. by NineInchNachos on 7/26/2011 @ 4:38pm success positive rainbow thinking! by NineInchNachos on 7/26/2011 @ 5:42pm watching Doug Schafer rip the council in half on TV Tacoma. Hope everybody is watching! by NineInchNachos on 7/26/2011 @ 5:47pm there is no reason the city owes any compensation for billboards marked out of compliance by 1997. not so for billboards that went in after 2007. Liz Pauli is mistaken. by Erik on 7/27/2011 @ 10:17am Update: victory against the City of Destiny from being inundated with more visual blight is nearing. A majority of the Tacoma City Council appears headed toward banning digital billboards. The council could decide Aug. 9 on a proposal unveiled Tuesday. Without dissent, the council took a procedural vote to move it forward. After tonight, Im much more hopeful that we�ll have the full council�s support, said Councilman Marty Campbell, who proposed the ordinance along with Councilman David Boe. 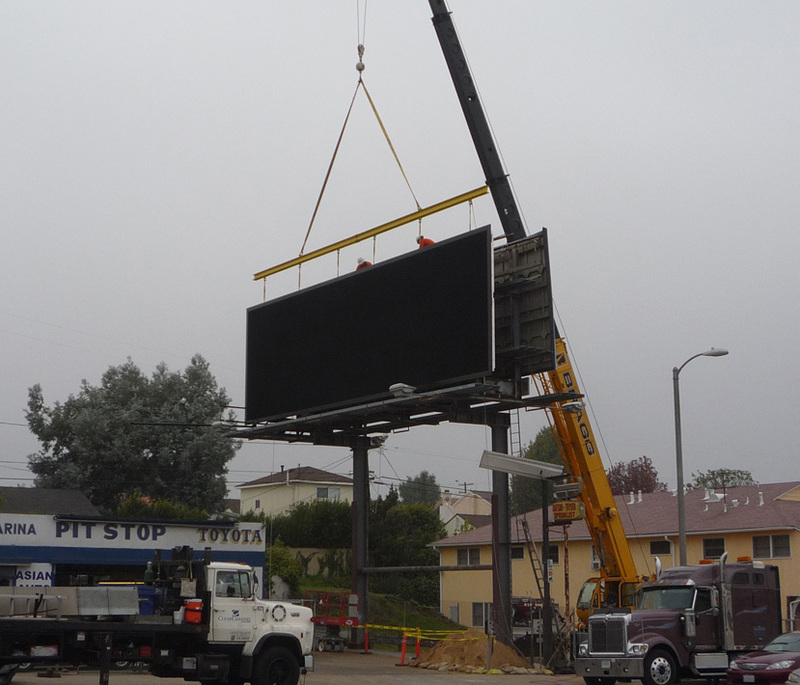 Campbell and Boe followed the city Planning Commission in calling for largely maintaining 1997 restrictions on signs and adding an explicit ban on electronic billboards. Boe and Campbells proposal would give Clear Channel six months to take down billboards that dont comply as many as 193 of its roughly 250 signs. Within a year, permits that have been awarded allowing the company to put up relocated billboards would expire. It addresses issues we had with the 97 law and it sets in place a firm timeline, Campbell said. Non-conforming billboards have been an important issue for Tacoma and for me. I have been working for many months to craft a better policy for Tacoma, while respecting property rights and the needs of businesses and non-profits in our community. On Tuesday I was proud to partner with Council Member Boe to bring forth the Boe-Campbell substitute ordinance. The substitute ordinance largely follows the recommendation of the Planning Commission. It calls for a ban on digital billboards and offers clarifying language around the way billboards are displayed in our city (lighting, dispersion, buffers and other design standards). It clarifies what constitutes a code violation (blight) and how to address violations. It strengthens our legal standing and provides a clear pathway for removal of non-conforming billboards by March 1st 2012 and requires all vested relocation permits be used by September 1st 2012 or forfeited. Despite the new defensible code, if Clear Channel chooses to aggressively pursue legal action, it may delay the removal of non-conforming billboards for some time. This is a robust discussion that we need to have from a stakeholder point of view, including members of the community. It will also allow approximately 140 conforming billboards to remain standing in Tacoma. I remain committed to finding a solution that fulfills the intent of the 1997 ordinance in a timely manner. Commentary: Encouraging. However, the fight to keep digital billboards from blighting the City of Tacoma is not over. There are certainly some on the Tacoma City Council who wish to push in digital billboards in Tacoma in the future. by NineInchNachos on 7/27/2011 @ 4:37pm fast forward to March 2012.... THE FUTURE. Clear Channel does nothing, sues Tacoma. by L.S.Erhardt on 7/27/2011 @ 4:49pm RR, are the pumpkin cannons in good working order? by NineInchNachos on 7/27/2011 @ 5:02pm Puyallup is the land of pumpkin cannons, every farm has one. Youth of the South Sound Arise!